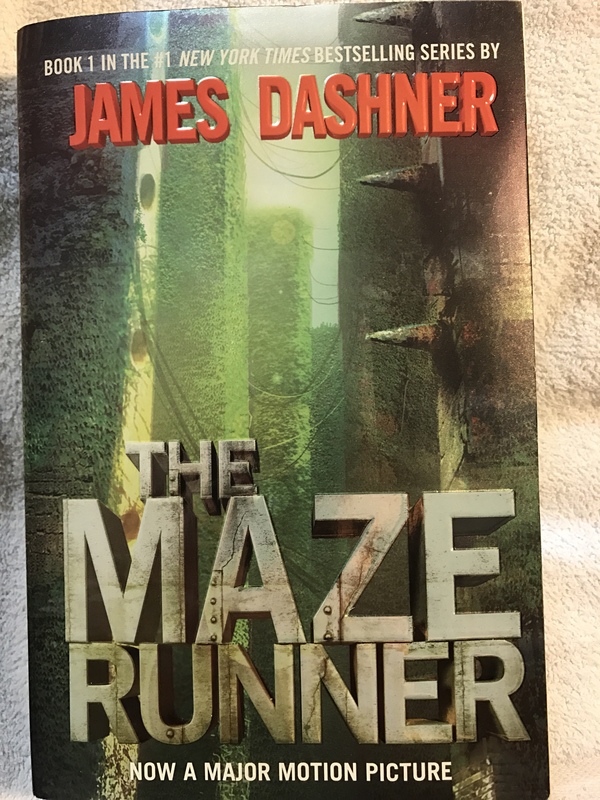 “The Maze Runner”, by James Dashner is the start of a riveting novel series. I found these in the Young Adult section of the book store. In the notes at the front of the book it says it is Science Fiction. The main character, Thomas, wakes up in a strange world, and has no recollection of who he is or how he got to this place. There are other teens here, who have no clue, either, but they help him find his way around. They are all trying to escape the maze, which is outside their fortress. Thomas becomes a runner. His job is to run through the mazes, and document what he finds. Along the way there are horrible creatures trying to kill him. There is so much going on in this book, it’s hard to say much, without giving away the way it turns out. 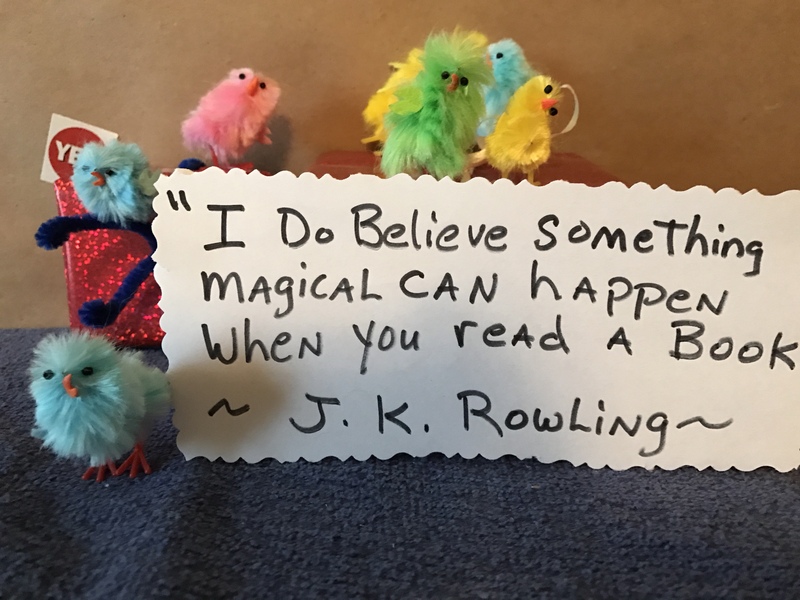 It does keep you turning the pages, and then wanting the next book in the series, each one building to the final conclusion. This book was made into a movie, which I did see. It was very good, and stayed pretty true to the book. 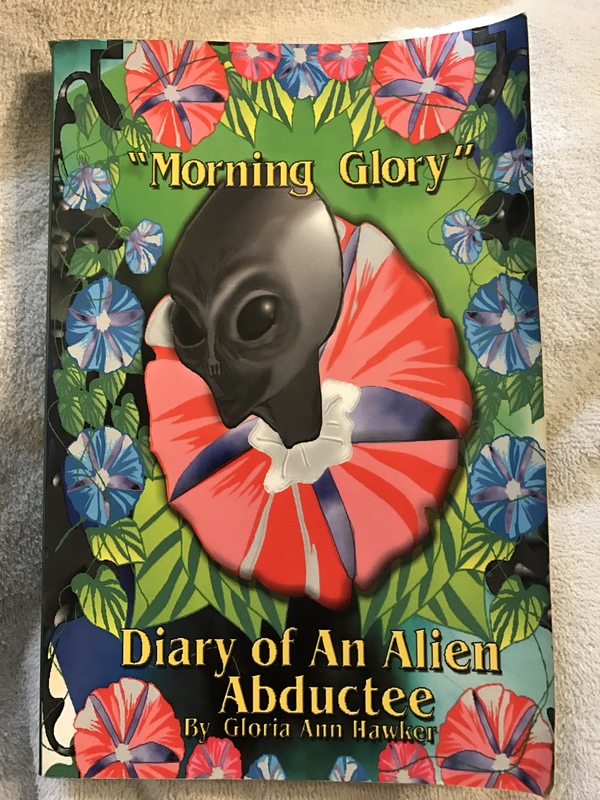 “Morning Glory,” By Gloria Ann Hawker, is her true account of being involved and abducted by aliens. Living in Albuquerque New Mexico, she began to experience strange events in her life. Documenting it all, she came to realize she was dealing with the manipulations of alien beings. Then, the government became interested in her case, and she was subjected to their manipulations, too, which were just as horrible. I got to meet Ms Hawker in person, and have a short conversation with her. This was in Roswell New Mexico. She was there as a speaker, and she had a book signing on the day we were there. 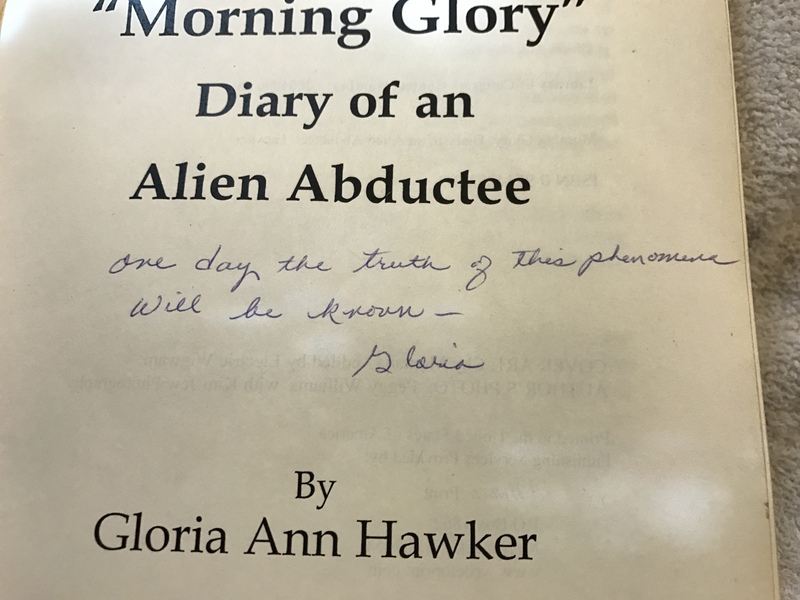 She signed my copy of her book (photo) which reads, ‘One day the truth of this phenomena will be known – Gloria’. I do believe there are aliens here, and I sincerely believe Ms Hawker knows it, too. Tomorrow we have an off day, but come Monday, the MB Chickens will be back to open another book title box. The letter will be N.
I saw the Maze Runner movie. Maybe I have to read the book now, along with Hunger Games and Divergent and the Twilight series. Yikes!